Born, John van der Waals (at Leyden, Holland), physicist, Nobel 1910 "for his work on the equation of state for gases and liquids"
R. Luther discovered asteroid #95 Arethusa. Louis Ducos du Hauron patented a trichrome color photo process in France. Arthur-louis Ducos Du Hauron (8 December 1837 - 30 August 1920) was a French physicist and inventor who developed the trichrome process of color photography in 1869, a key 19th century contribution to photography. Louis Ducos du Hauron began experimenting in his twenties. On 1 March 1864, he patented a device for taking and projecting motion pictures, but did not build it. Four years later, on 23 November 1868, he patented a process for making color photographs. The French patent (nr. 83061) was granted 23 February 1869. Using his process, he photographed a scene through green, orange, and violet filters. The three negatives were then printed on thin sheets of bichromated gelatin containing carbon pigments of red, blue, and yellow, the complementary colors of the negatives. When the three positive transparencies were superimposed, a full-color photograph resulted. Another French experimenter, Charles Cros, discovered the process independently, publishing his findings just 48 hours after Ducos du Hauron received his patent. Ducos du Hauron described his results in two books - "Les Couleurs en photographie: Solution du probleme" ("Colours in Photography: Solution of the Problem", 1869) and "Les Couleurs en photographie et en particulier l'heliochromie au charbon" ("Colours in Photography: Colour Reproduction with Carbon Pigments", 1870). Ducos du Hauron continued his research, devising improvements and cost reductions for printed color reproductions. In 1891 he also patented the anaglyph, a type of three-dimensional photography that uses colored filters to superimpose separate images for the left and right eyes on one picture. Ducos du Hauron did not profit much from his inventions, but he did receive a pension from the government, and was made a chevalier of the French Legion of Honor in 1912. A. Charlois discovered asteroid #345 Tercidina. A. Charlois discovered asteroid #429 Lotis. A. Schaumasse discovered asteroid #971 Alsatia. G. Van Biesbroeck discovered asteroid #990 Yerkes. K. Reinmuth discovered asteroids #1408 Trusanda and #1435 Garlena. Frank G. Back received a patent for a "varifocal lens for cameras" that provides "zoom" effects. Variable focus lenses such as this enable spacecraft cameras to take both wide angle and telephoto shots without changing lenses. M. Laugier discovered asteroid #1681 Steinmetz. L. Boyer discovered asteroid #1594 Danjon. 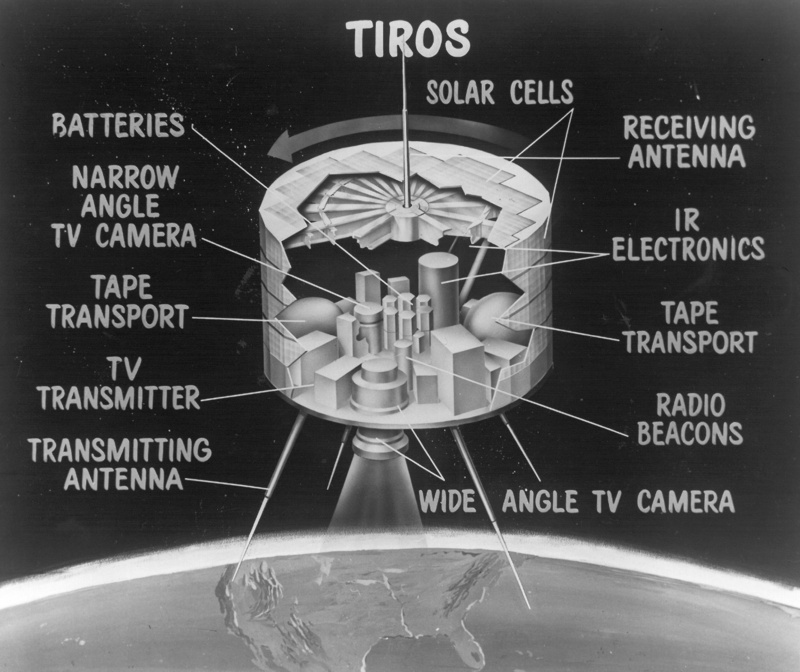 NASA launched TIROS 2 (Television and InfraRed Observation Satellite) on a Thor-Delta from Cape Canaveral, Florida, a spin-stabilized meteorological spacecraft designed to test experimental television techniques and infrared equipment. The European weather satellite Meteosat 1 was launched on a Delta rocket from Cape Canaveral, Florida, as part of European Space Agency's (ESA) contribution to the Global Atmospheric Research Program (GARP). USSR Soyuz T-9 landed, returning cosmonauts V. A. Lyakhov and A. P. Aleksandrov from the Salyut 7 space station. NASA launched STS 113 (Endeavour 19, Shuttle 112, ISS Flight 11A) to deliver a new crew and truss segment to the International Space Station.